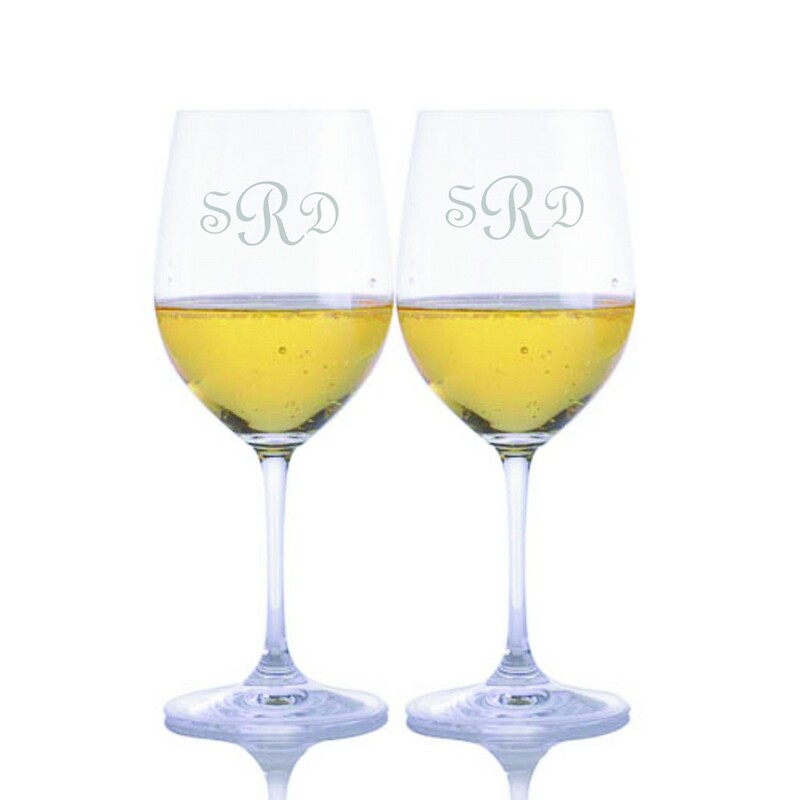 Personlized white wine glasses are the perfect gift for your favorite friend, bridesmaid or your own bar. These elegant Riedel 24% lead-crystal Chardonnay glasses showcase the best qualities of light, dry white wines, including Chardonnay, Chablis, Sauvignon Blanc, Pinot Grigio and most white wines. Choose from our large selection of engraving options, and design the perfect wine glass. Height: 7 3/4". Capacity: 12.5 oz. Set of 2. 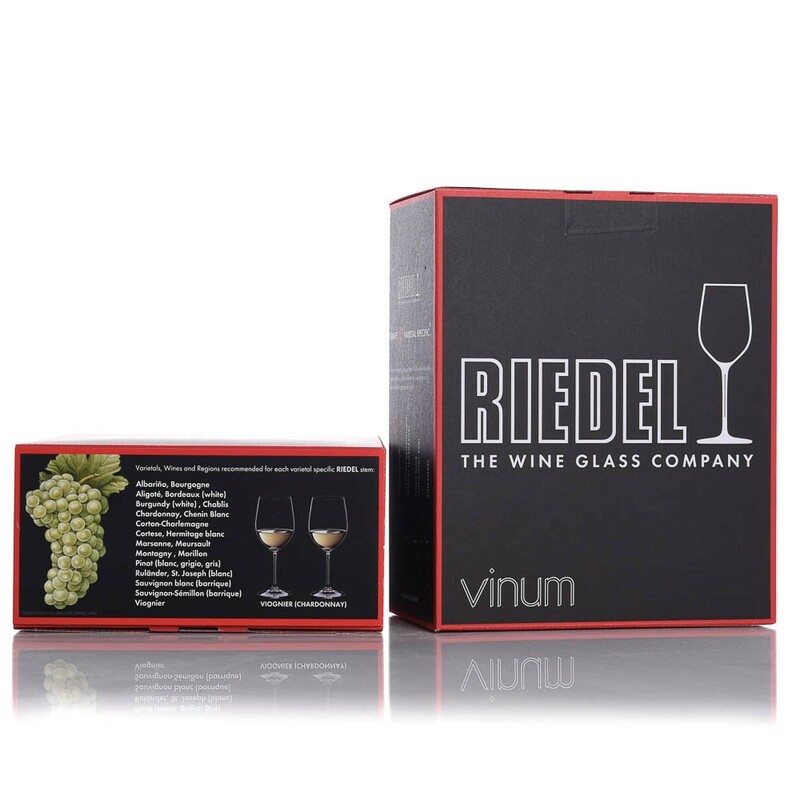 Combine with the Riedel engraved wine decanter for a matched set.